What do the Different Door Closer Terms mean? What does Backcheck on a door closer? Backcheck is an action that offers resistance whenever the door is opened to between 70 and 90 degrees. It is designed to protect the door from being flung open and the building where the door opening if restricted. This used in conjunction with a door stop helps protct the walls, door and door frame. An example of thisbeing use full is if the door is external. The back check will prevent from blown back against the building. What does Delayed Action mean on a door closer? Delayed action slows the closing of the door from between 90 and 65 degrees. This is usful in care homes where people may need more time to go through the door. What does Controlled Closing mean with regards to a door closer? This simply means that the rate at which the door closed can be adjusted. What functtion does Latch Action perform on a door closer? This allows for a little extra force for the last 10 degrees of the closing action. This allows the closer to over come a latch. When is a Slide Arm used? This is used where people don't want an arm that sticks out. It consists of an arm that slides along a channel. When is a Drop Plate used on a door closer? Allows a closer to be fitted where the top rail of the door is to narrow to allow it to be fitted. The drop plate is first attached to the door and then the closer to the drop plate. What does each finish abbreviation stand for? An explanation of each finish abbreviation. How to change the handing on the Zoo Hardware UK specification sashlock and bathroom lock? This is very easy to do. Simply turn the lock upside down and push the latch in. It will pop out and you can then switch the latch to the correct handing. Then turn the latch the right way up again and it will set itself in its original position. Can I place an order in advance for collection? Yes, if you call an order in an let us know when you will be in we will have it waiting for you. We will also be able to tell you if we have everything in stock and make arrangements if not. In addition to collection we can arrange to ship any where in the country with next day delivery or if necessary drop deliver it any where with in the Dublin area. 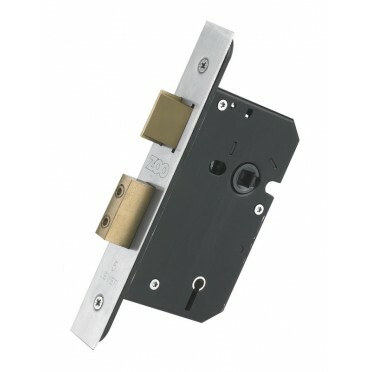 How to reverse the standard Zoo Hardware 3 lever lock and bathroom lock. 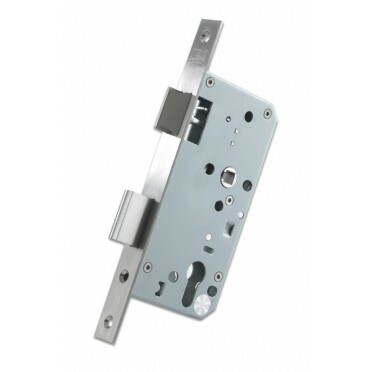 The Zoo hardware 3 lever lock in combination with our bathroom lock is our most popular for houses. Reversing these lock couldn't be easier. You simply take the lock and look at the side that has an arrow on it saying to reverse. You push this back snib you see there and it causes the latch to pop out. Simply twist this around to the desired handing and push it back in. This will cause the snib to pop back in to position and your lock is reversed. Occasionally the snib will pop into position while the latch is still out simply push the snib back in and the latch will return to position. How do I reverse the Zoo Hardware Din lock? It is simple to change the handing of Zoo Hardware's Din lock. Simply turn over the lock and a little stop will fall which allows you to push the latch in. Once this is done you can simply turn the latch and it will shoot out again in to its original position. Turn the lock the right side up and your done. How do you determine the handing of your door? Here is just a brief explanation of how you determine the handing of your door. You will need to know the handing of the door for some products such as hinges and certain types of locks or handles. The picture below shows how you determine the handing. Notice that it is determined by which side the door is hinged on. If the door is hinged on the right as it opens inwards then then it is right handed. 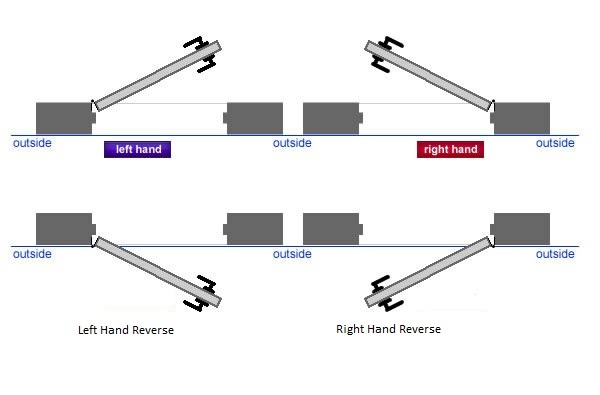 The bottom picture shows doors that are left and right hand reversed. This can be important for products such as night latches. What if I can’t see something I need on the Website? Please feel free call us, we pride ourselves on being able to source any product a person needs. We supply Carlisle Brass, Eurospec, Arrow Door Closers, Rutland Door Closers, Union Security Gear(Chubb), Surelock McGill, Hoppe, Frisco and many more. Once we have the product you need you can call in or we can deliver it to you nationwide. What locks are used on the front door? There are two types of locks used on the front door. The first is a night latch. This locks the door automatically and only requires a key to be open from the outside. It typically has a latch but can also include a deadlocking function. The second type of lock is usually a 5 lever deadlock. This is a heavy duty security device. It does not lock automatically so it is not always used but it is great for securing a door at night or when taking a trip away. Here is a great nightlatch. You can find a 5 lever deadlock here. How do I keep my handles clean? To keep your handles clean you just need to clean them with a damp rag. Brasso can be used to bring out the shine but it is not always neccessary. It is important to keep the handles clean if you want to see them shie. While these are simple ways to keep your handles clean it must be noted that if damage is done to the handle by say rings on the finger it is difficult to repair this. Are you open to the general public and what methods of payment do you accept? Yes, we sell directly to the public at trade prices. We accept both cash and credit cards. There is also free parking and we don't close for lunch. Our opening hours are 8.00am to 5.00pm, Monday to Friday. We are located 5 minutes from exit 10 Ballymount along the M50. You can see out location here. If you can't make it in to us, then feel free to call or e-mail us and we can ship to anywhere in the world. Do I need to lock every internal door? Putting it simply no. The only internal doors you need to lock are the bathroom doors. For the other doors all you need to use are latches rather then sashlocks. The latches which are tubular are cheaper and also easier to fit then the sashlock. In addition to this the latches do not require Escutcheons when they are used with a lever on rose so money is saved there too. At the end of the day it is personal preference as to which you go for but the cheaper latch is a viable alternative. HOW DO I CHOOSE THE RIGHT GRADE OF HINGE? â€¨â€¨â€¨IF THERE'S A DOOR CLOSER, WHAT DIFFERENCE DOES THIS MAKE? For any fire doors, ensure the hinges are CE marked. This means the hinges have been manufactured in a quality controlled environment, they have been performance-tested to BS EN 1935, and included as part of a fire doorset test to BS EN 1634-1. Check that the fire test(s) for the hinge were on similar door types to the one on which you want to use the hinge. It’s also worth checking if the hinges need to be fitted with intumescent pads behind the hinge leaves. HOW MANY HINGES SHOULD BE FITTED TO A DOOR? â€¨â€¨BS 4787-1 states that three hinges per door should be fitted to each door leaf. If doors are taller than 2.1 Metres (2100mm) a fourth hinge should be used. This is fine for non-fire doors. Where fire doors are concerned, the same number of hinges must be fitted as when the doorset was fire tested. This can be critical. â€¨â€¨â€¨IF I FIT A FOURTH HINGE DOES THIS AUTOMATICALLY INCREASR THE WEIGHT CARRYING CAPACITY OG THE HINGES? Normally 3 hinges per door leaf fitted 250mm from the top of the door to the centre of the top hinge and 250mm from the bottom of the door to the centre of the bottom hinge the middle hinge should be fitted centrally in the door leaf. For four hinges it’s worth checking with the manufacturer. Where fire doors are concerned, hinges must be fitted in the positions used when the doorset was fire tested. This can be critical. WHAT MATERIAL SHOULD THE HINGES I SELECT BE MADAE FROM? Cons:- Accuracy of rolled joints, low corrosion resistance. Cons:- Low melting point (although certain brass hinges are tested to FD60), hardness of material. Pros:- Accuracy of extruded sections, relatively inexpensive, corrosive resistance. Salt water will eventually penetrate most lacquered finishes and cause hinges to discolour, and in the case of steel, start to rust. Marine grade 316 Stainless Steel is the best material for resisting harsh salt water environments and polished unlacquered brass is also excellent, providing it is maintained. It is used by boat and yacht builders. Manufacturers normally offer corrosion resistance test evidence to BS EN 1670, where hinges are hot salt-spray tested for up to 240 hours. If the hinges are CE marked, their corrosion resistance grade is given in the last box of their classification code. SHOULD I TELL MY CUSTOMERS TO LUBRICATE THE HINGES AFTER FITTING? We all hate to see it - beautiful, expensive hinges with paint all over them! It’s obvious but worth a mention to remove or at least mask off hinges when treating timber doors and frames. Some varnishes and stains can attack the finish or base material. General cleaning of hinges should be done with a damp cloth with a light oil or lanolin (ensure you avoid contact with the woodwork). This should be enough to keep the finish in its original condition. Some cleaning agents can also attack the finish of a hinge and could affect the bearings. The GAI and most UK manufacturers refer to the ISO 5 (Clockwise closing) and ISO 6 (Anti- clockwise closing) method of handing. Please double-check this with the manufacturer if in doubt, as some European manufacturers use the German DIN method, and American hinges are handed according to ANSI. WHAT ABOUT ADJUSTMENT ONCE THE DOOR IS FITTED? IF I FIT A DOOR IN THE ENTRANCE TO A BUSY OFFICE BUILDING SHOULD I OVER-SPECIFY THE HINGES? â€¨â€¨In this type of environment the hinges will operate approximately 1 million times per annum and this requires a heavy duty hinge, which can withstand more than just the weight-carrying requirement. Hinges with maintenance-free bearings and larger hinge knuckles - to give the largest bearing surface - are normally best for these situations. If the hinges look heavy duty enough and the manufacturer’s test evidence reflects the door requirements, they should be up to the job. When should I use Dog Bolt Hinges? A dog bolt hinge is specially designed to be used on outward opening external doors. It is a ball bearing hinge that features a bolt through its centre that goes into both frames. The fact that the door is outward opening means that the knuckle of the hinge is exposed to tampering or sawing. If this was to happen to a normal hinge the door would simply fall off the frame resulting in the security of the property being removed. The dog bolt however means the door stays in place keeping the building secure . You can find our Dog Bolt Hinge here.